When the US Drone Nationals were announced I was very excited about it but unsure whether I would be able to go. I had already made plans to attend FliteFest 2015 and I would have to both cancel my tickets and rearrange my vacation days at work. The event was originally to be limited to 120 pilots with an 80 pilot lottery or something like that which just sounded like way too much. I guess the organizers felt so too, cause they reduced it down to 100 pilots and 20 wait list. As soon as I saw the change, I went ahead and bought the registration. To have a chance to fly with the 100 best pilots in the world, I had to jump in before it filled up! I kept following closely for any information as it was being posted: like the stadium size, the preliminary course layout and other 3D stadium mockups. I overlaid their information on top of our regular flying spot to see how it would compare to the size of the area we were used to, and it was around less than half that. That weekend, we got kicked out of our spot by the park rangers and our group had to scout out and set up in a new location. 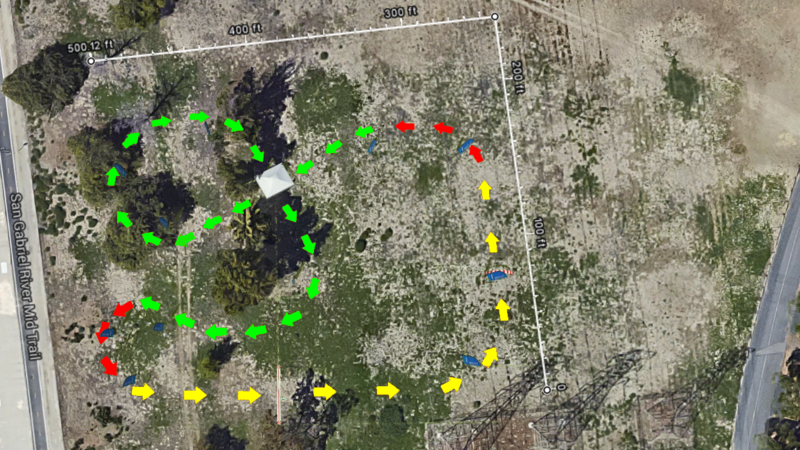 The only area available for us was behind the rc heli field, way off the main road, under the power lines…. Perfect. The next thing to do was to figure out what the course was gonna look like. 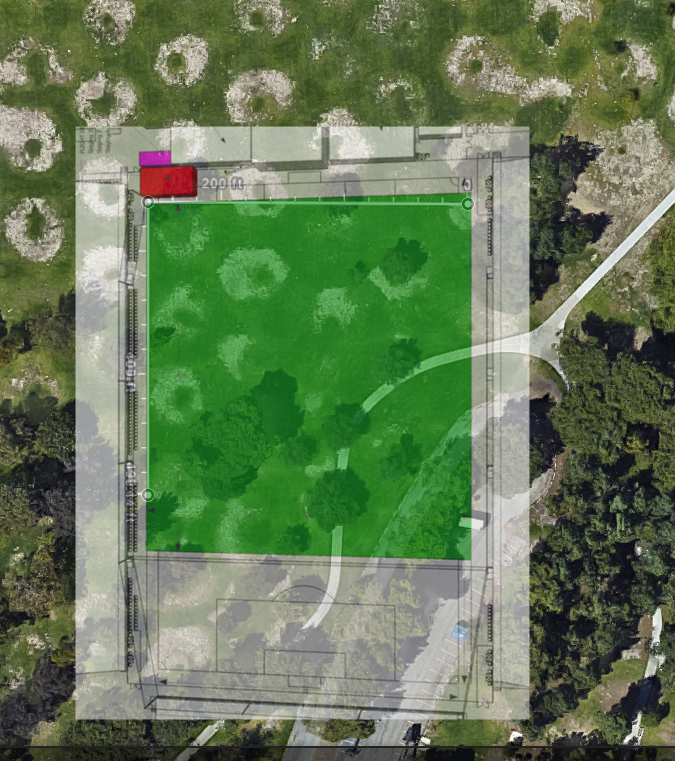 When they released the preliminary track, I took the image and overlaid it into our new area, scaled to the maximum size it could fit (I figured we could always tighten it up as we need to). The first few runs on the layout were a bit shaky but I started to focus on where we could get on the throttle and where we would have to put in hard braking. We started making practice a weekly thing and as we got more into it, more of us committed to registering and making our travel plans. We would set up the arrows and pool noodle gates and I would apologize to my friends a thousand times for barking orders at them: “Move the apex five feet closer this way!”, “No this turn needs to go around like that!”, “Move the air gate a little more out!”, “Line it up with the second electrical tower leg!”. 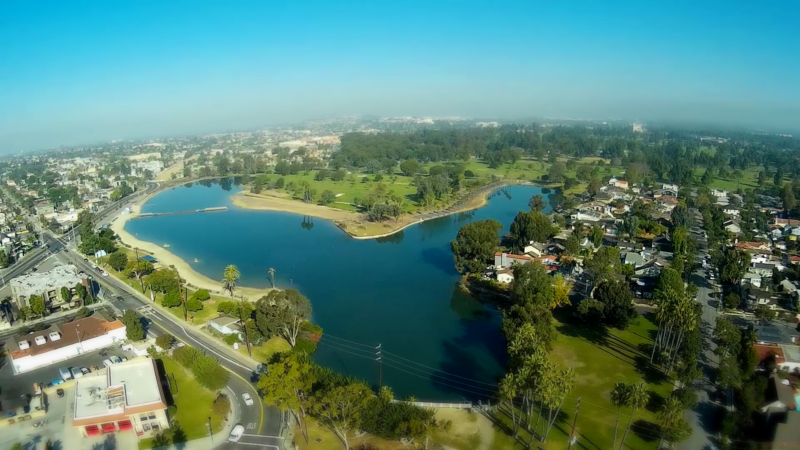 As people started to show up to El Dorado from all over SoCal, we started up a group hangouts to chat about everything fpv and drone related. Many days if the turnout was low, I would feel a bit lazy and not put out the arrows and just practice flying the course from memory. Some of the early practice runs were a bit slow and rough while we focused on learning the curves and developing some muscle memory for them. We broke a lot of props and I managed to burn up four KISS in four days – all of my spares I had purchased for Nationals. My Blackout PDB broke in half and I killed a ZMR250, a whole bunch of Cobra motors and a slew of other parts casualties. I was constantly shuffling quadcopters, one week flying my Blackout, the next week a ZMR250, the next week an XHover MXP230. I’d get one fixed and break the other two, then fix those two and the first one would break. It was always a mechanical or electrical issue and the piles of electronics labeled ‘dead – not smoked’ and ‘dead – it smoked’ continued to grow. It seemed I could never get ahead of the failures to get any decent practice on any single rig. I was always scrambling just to keep one build in the air so I could get any kind of stick time and my savings account started to weep as it ran empty buying spare parts. Finally in an attempt to have something more reliable for Nationals, I decided to buy an older v2 Blackout frame from the man Tommy (ummagawd) himself and used some of the spare parts I had accumulated to build a customized lowrider blackout. It was a waiting game of seeing who would sign up, and finally they released the pilot registration list. I could recognize some of the big name people who had their pilot handles associated to their names, but not everyone. It was still too vague!! They started to announce more and more sponsors, this time it was Parrot announcing they were going to have Livestream chase cams! OH MY GOD I have been dreaming of something like that ever since my first race at the Aerial GP Inaugural! I wondered what doing something like that would feel like so I figured I would chase Scott (MajorBonr) around the course a couple times during one of the practices and try to position myself for some decent shots. Team RaceKraft formed around this time and Scott started thinking of creating a prototype frame of our own. He was already in the midst of developing the new TRK HoneyBadger Nano and got to work on designing a new frame for “Nats”. Unfortunately we were unable to get the frame cut in time to race in the event. We also decided to create a local racing league in order to host MultiGP and AerialGP chapter events and SoCal Rotor Racing was started. The course began to feel a bit mundane but luckily Tommy came through again and hooked it up with a couple prototype BlackRock AirGates he was given which we set up for some freestyle acro practice and testing versus the pool noodles we were used to. That weekend we also got the MultiGP lap timing system and the Racing Gates put together for when the RotorX team rolled into town with the incredible Raiju RX155 and Atom RX122 (I’ve gotta get me an atom but they can’t keep em in stock!). The RotorX crew are some incredibly great people and before they left decided to gift me one of their FatShark feather pylon flags that weekend. It was an awesome experience getting to hang out with them after first meeting them at the Justice Hangar Santa Monica Airport race put on by Ctrl.me a couple months prior. As we got more and more comfortable in the turns, we noticed that the ‘racing’ still felt slow because we weren’t doing a proper start. “None of you are even practicing launch starts” – “Speak for yourself”: the friendly group banter started to become a little competitive lol! So then we started to practice launch starts as often as we could. James’s knee started to heal up and he came on the last practice weekend before we left for Drone Nationals to let us know he was going to be able to make it after all. Practicing so often must have triggered some kind of chemical reaction change in my brain because I started having deep lucid dreams for the first time after many years of never having any dreams at all. All I could see when I managed a couple hours of sleep were blades of grass whizzing by as I was dipping and diving, whipping and flying, and dreaming in FPV. I’ll write up a full recap of the entire road trip heading up to Sacramento and my experience there. I hope you enjoyed reading the story of how we prepared for the big race! During the International Drone Day event at Apollo Field in Van Nuys, CA, I met John Reid from RotorDrone Magazine. After chatting for awhile about FPV racing, he invited a few friends and I out to a photoshoot for an article in their May/June edition, along with the guys from UAV-RC and X Hover. After a long night with no sleep, we left around 3AM to get out to the desert by the 6AM meetup time. On my second flight out one of the KISS ESC’s caught fire after a hard crash, so I only had my backup quad to last me the rest of the day. The location was perfect for some proximity flying but I didn’t want to wreck again and be out there with nothing, so I took it easy and just flew around a bit instead. 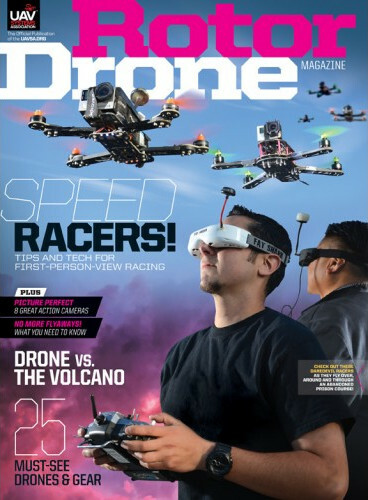 Make sure to check out the article in the May/June edition of RotorDrone Magazine available at Barnes and Noble bookstores. Fighting the brutal Santa Ana winds during the SoCal FPV meetup at the Glen Helen Regional Park. Big thanks to Tony and www.uav-rc.com for hosting the event and to everyone there for showing off your skills and aircraft.